Ruth Osuna will start work Dec. 3. She has most recently served as an assistant city manager in California. Ruth Osuna will leave the Southwest to become the next deputy administrator for Washington County. She will start her new job on Dec. 3. She brings wide experience from a dozen positions, most recently as an assistant city manager in Oxnard, Calif., although she has spent most of her working years in her native Arizona. "Ruth has a wealth of experience across many of our key service areas and programs including housing, community and economic development, finance and budget, and public works, as well with nonprofit organizations and community groups," County Administrator Bob Davis said. "We are delighted that she will be joining our Washington County leadership team." She fills the position vacated by the retirement of Rob Massar, a Hillsboro assistant city manager who came to county government in 2008. Others on Washington County's management team are Assistant Administrator Don Bohn and two senior deputies, Kirby Johnson and Sia Lindstrom. Washington County, Oregon's second most populous, has an annual budget topping $1 billion and more than 2,000 employees. Osuna's most recent positions were as an assistant city manager in Oxnard, Calif. — she was there from November 2016 until January of this year — and the same position in Brownsville, Texas, from 2014 to 2016. 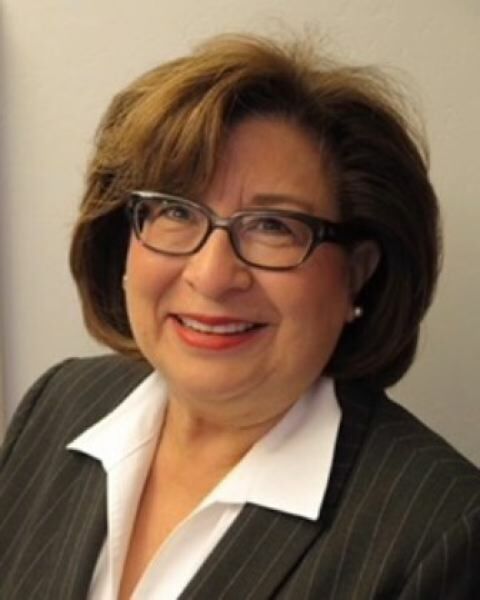 She was one of four finalists in 2016 for city manager in Yakima, Wash.
Osuna earned a bachelor's degree in English and journalism in 1977 from Northern Arizona University and a master's in public administration in 1983 from Arizona State University. From 1977 to 1980, she was a high school teacher in Page and Peoria, Ariz. Most of her career has been in Arizona — and many of those years in Phoenix, now the nation's fifth most populous city. She was a management assistant in the Phoenix Office of Transportation Services from 1984 to 1987, then deputy director of the city's Community and Economic Development Department from 1987 to 1989. She was director of the Hispanic Network of the International City/County Management Association from 1989 to 1991. She then went into the private sector, first as a vice president of Bank of America in Phoenix from 1991 to 1996, then as community development manager at Norwest Mortgage in Phoenix from 1996 to 1998, when it became part of Wells Fargo. She was a community development fellow for the U.S. Department of Housing and Urban Development, also in Phoenix, from 1998 to 2000. She was district director for the Neighborhood Reinvestment Corp. from 2000 to 2003. Based in San Antonio, she was responsible for working with community development and housing nonprofits in four states. She returned to Phoenix in 2003, when she became program director of the Local Initiatives Support Corp., and in 2006, she became deputy city manager for cultural affairs. Before her stints as assistant manager in Brownsville and Oxnard, she was city manager in Eloy, Ariz., from 2010 to 2014.